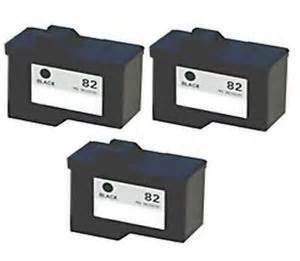 2-PACK COMBO REMANUFACTURED PREMIUM QUALITY BLACK #82 AND COLOR #83 ink cartridges for the Lexmark Printers listed below.Expect the highest quality at the lowest price possible on SpeedyInkToner’s ink cartridges that deliver solid prints that you come to expect from your Lexmark printer. Our compatible ink cartridges are manufactured to ISO 9001 (International Standards Organization) specifications to meet or exceed original ink cartridge qualities and are manufactured in an STMC certified factory (Standards Testing Manufacturing Committee) to insure you receive a high quality product that saves on the cost of every print. SHIPS SAME DAY WHEN ORDERED BY 3PM PST.